Stuff Points: Earn 79 points when you buy this stuff. An elegant bowl is home to a collection of natural stones. At the center, an organic metal sculpture appears to grow from the rock bed. 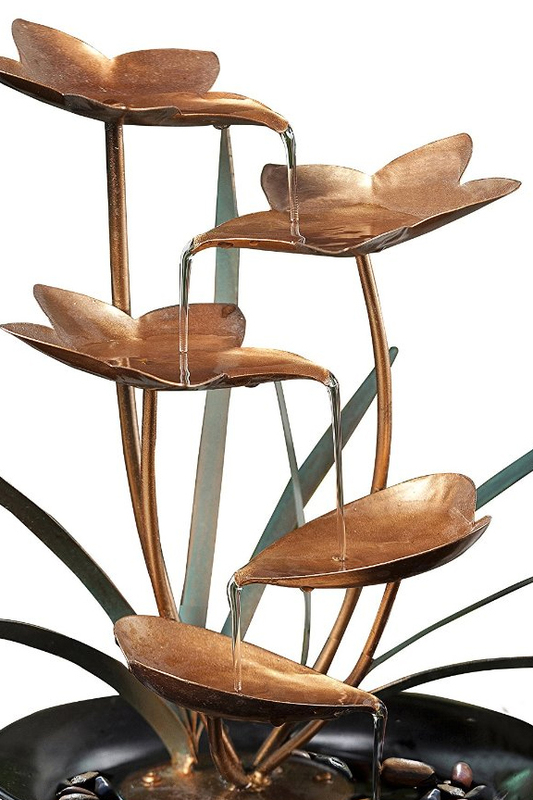 Five copper leaves are perfectly positioned to form pools that collect and direct the water flow. 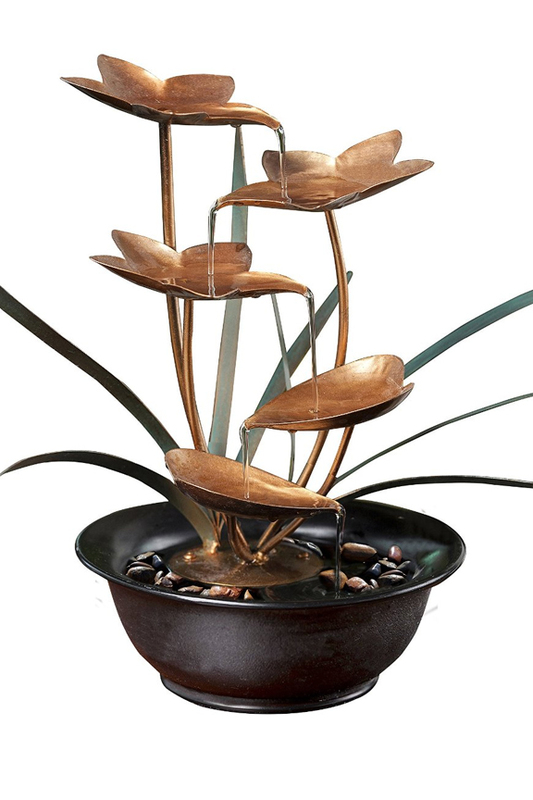 Behind this stack of leaves, other metal foliage combines to create a tranquil scene that would enhance any space. Once turned on, and filled with water, the included pump will draw water up the stem for the highest leaf, and bring it all the way to the top. Once there, the pool will fill, and then spill out to flow to the leaf below. Once that pool fills, the water will continue moving, leaf to leaf, until it ends up in the rocky pool at the bottom. Once there, it will cycle back up to make the journey again. Everything necessary to use it will be included in the box, and set up only takes a matter of seconds. The bowl is made out of a plastic resin, and the rest is made from metal. Natural stones are also included. Trickling water travels from one leaf to the next, and then settles in the pebbled basin below. Add to any table for the perfect centerpiece or a unique decoration that helps you relax. Order Yours Today!